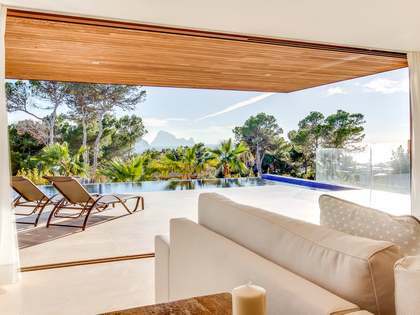 Spectacular property with a guest house, excellent outdoor space and beautiful interiors, for sale close to Cala Bassa, Ibiza. 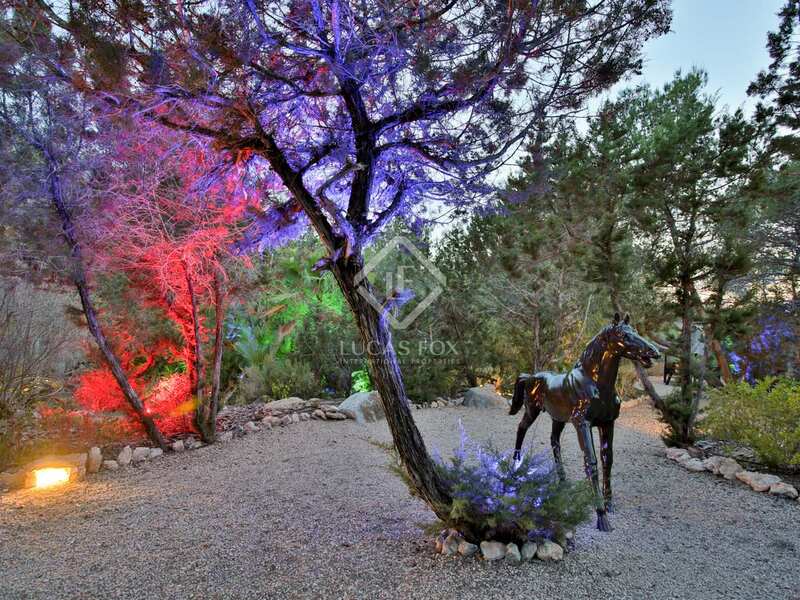 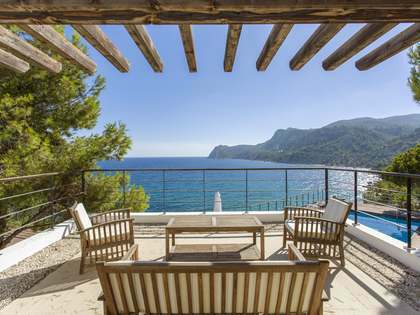 This spectacular house is in a peaceful location close to some of the Ibiza's best beaches and 5 minutes from Cala Bassa. 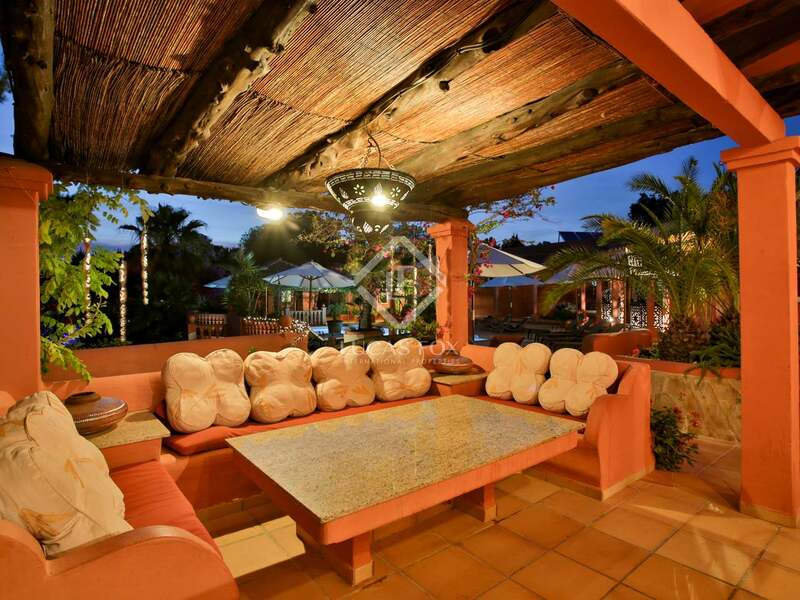 There are restaurants and supermarkets nearby and the centre of San Antonio is just 15 minutes away. 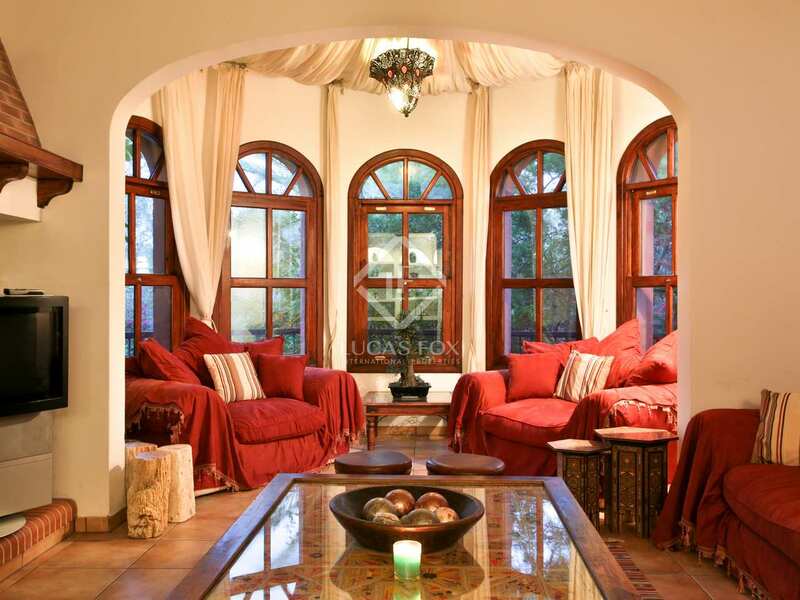 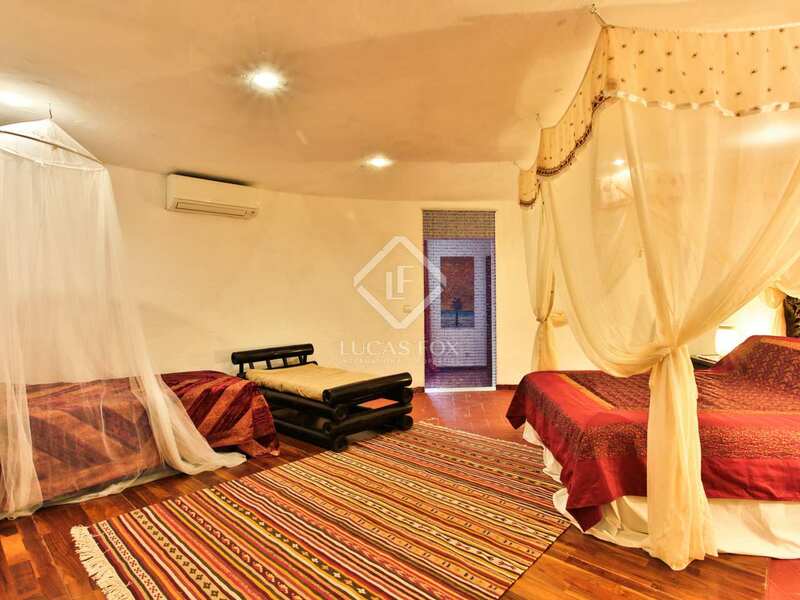 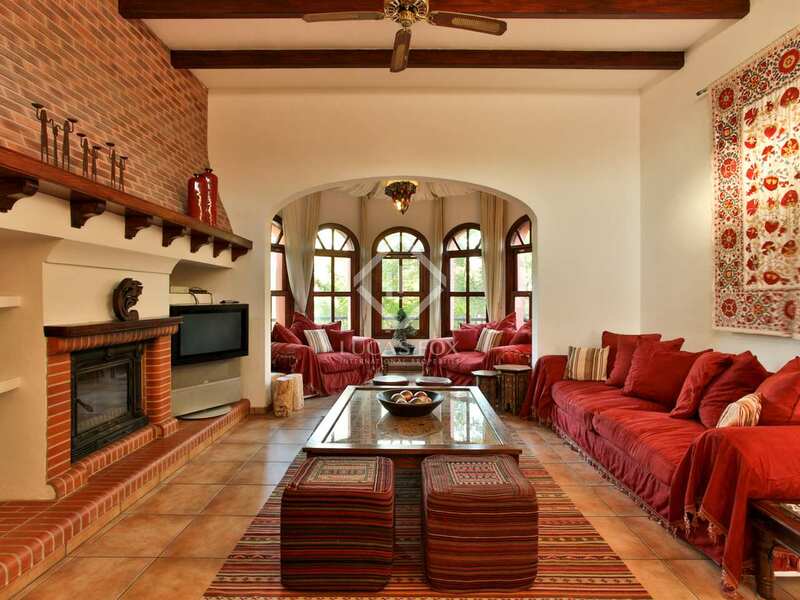 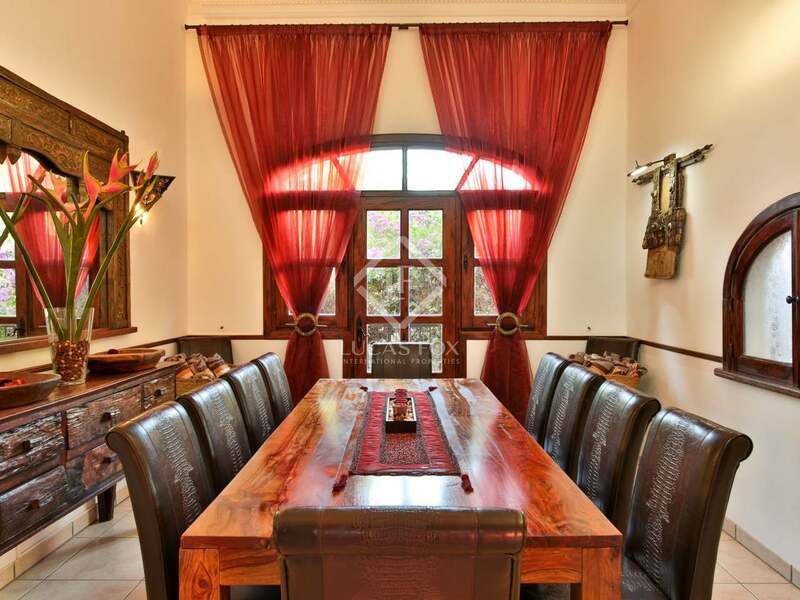 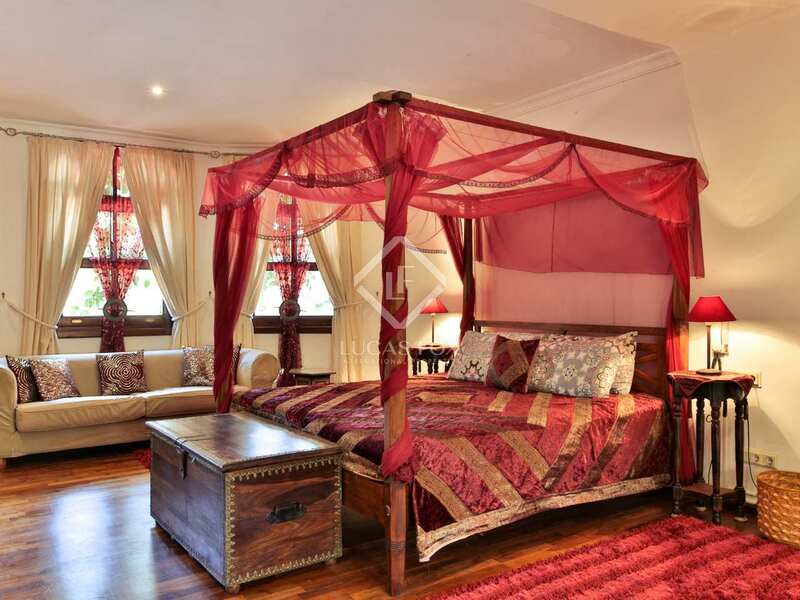 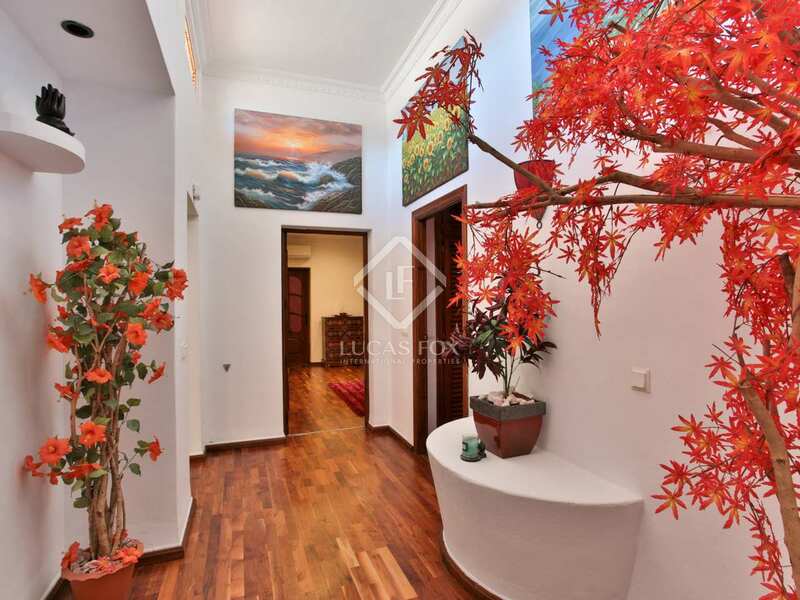 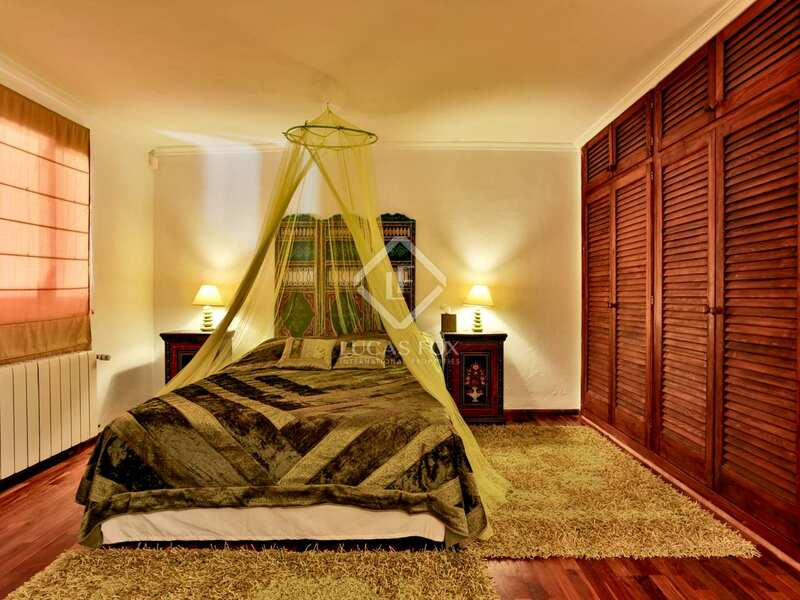 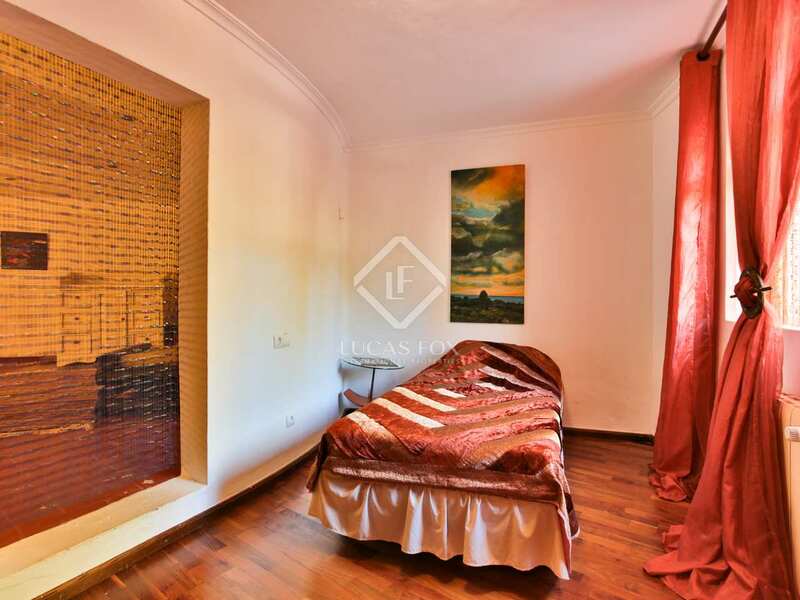 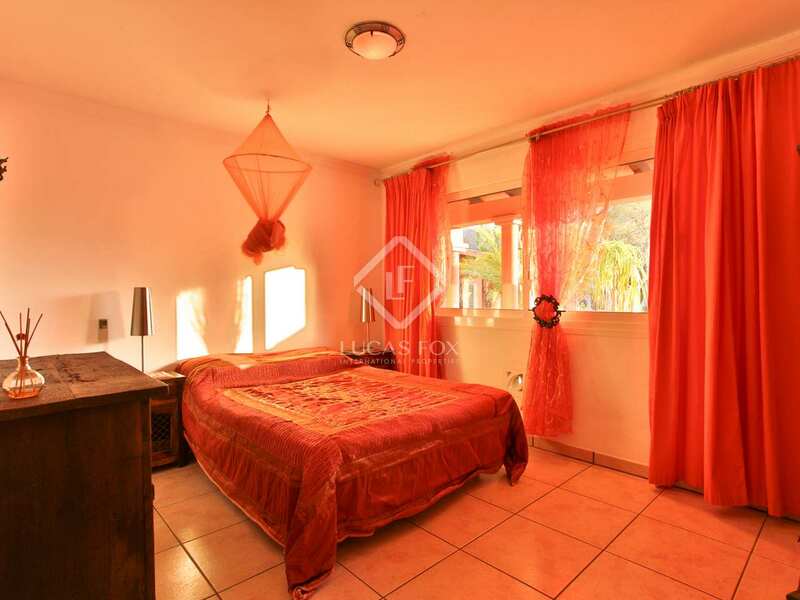 The property has a unique style which combines traditional and modern features. 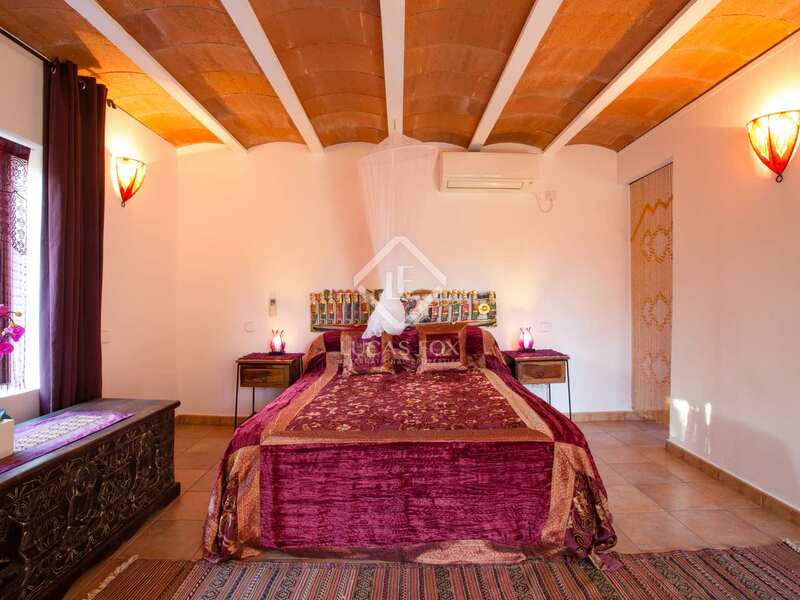 On entering the property we find bedrooms to the right of the hallway whilst on the left there is a large living-dining area with a fireplace and exposed wooden beams. 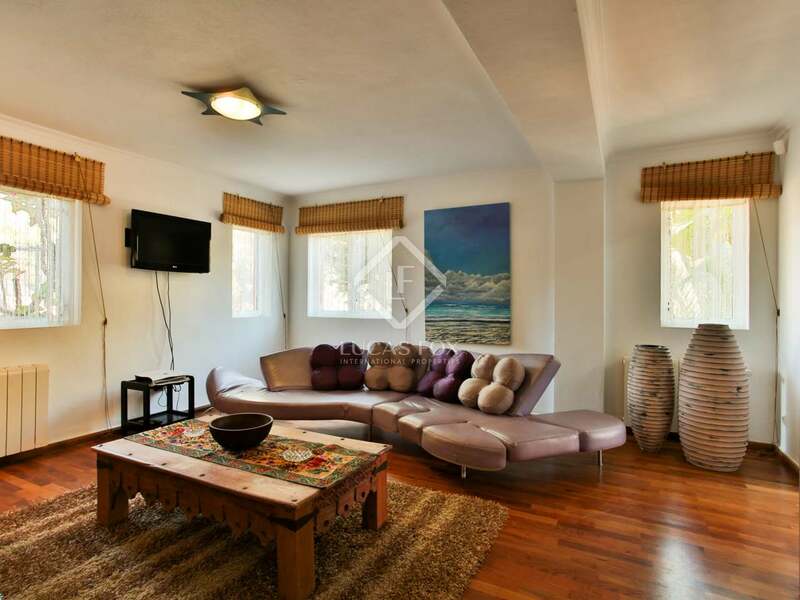 From the living area we access the fully equipped kitchen with space for a table for informal dining. 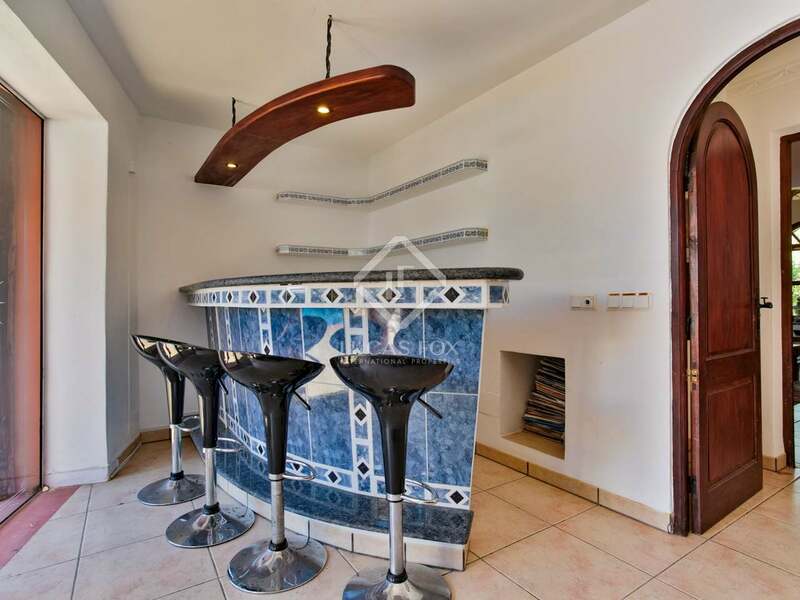 The kitchen has access to the spectacular outside area where there is a DJ console, exterior dining area, covered chill out area and the swimming pool. 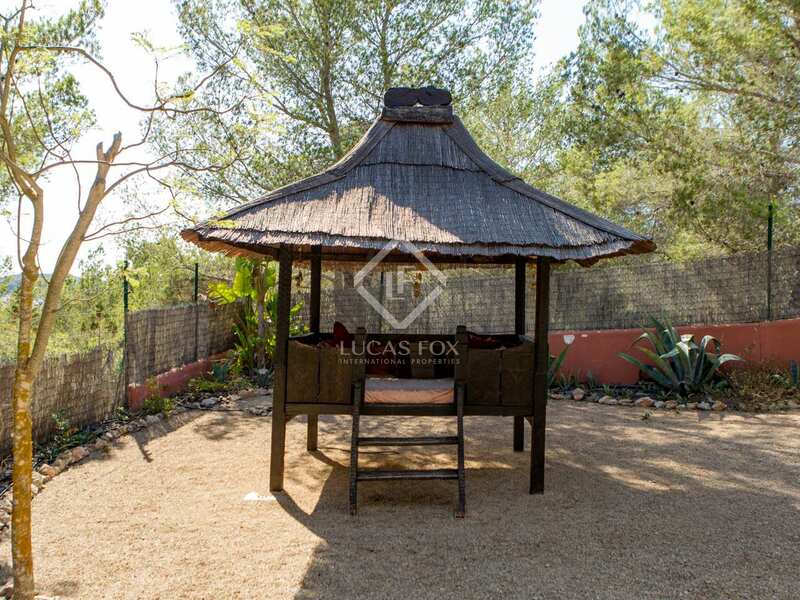 There is also a 3-bedroom annex in this area of the garden. 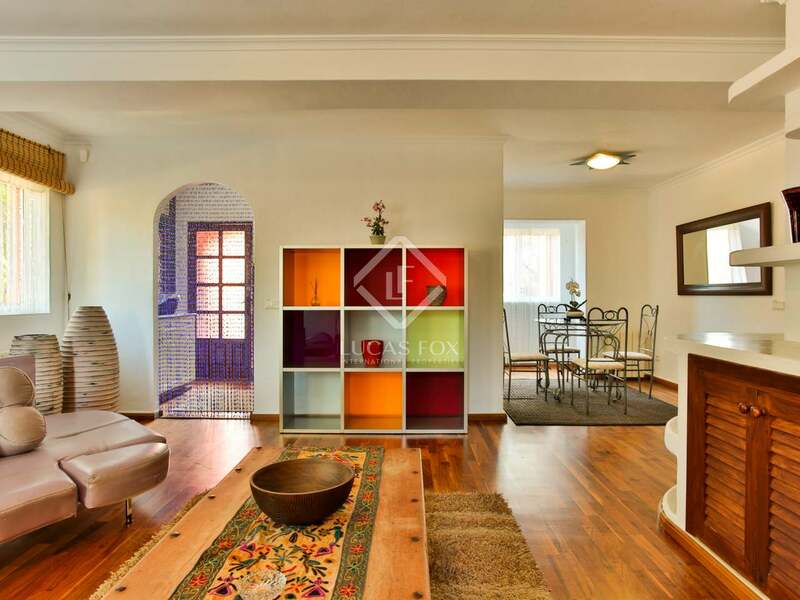 In addition to the annex we find a small 3-bedroom guest house with a living area and kitchen. 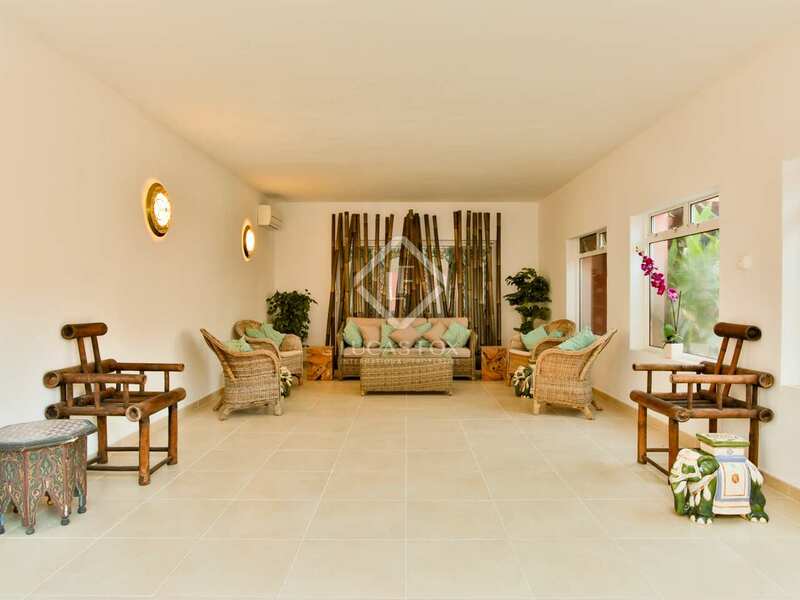 The beautiful outdoor space has diverse areas for relaxation and meditation and there are solar panels to heat the water. 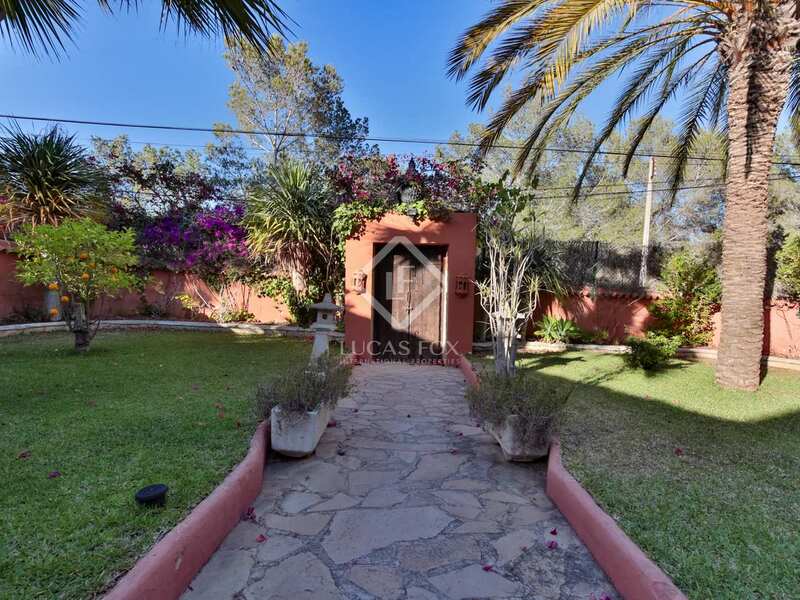 The property is being sold together with the land next to the house, giving the property complete privacy. 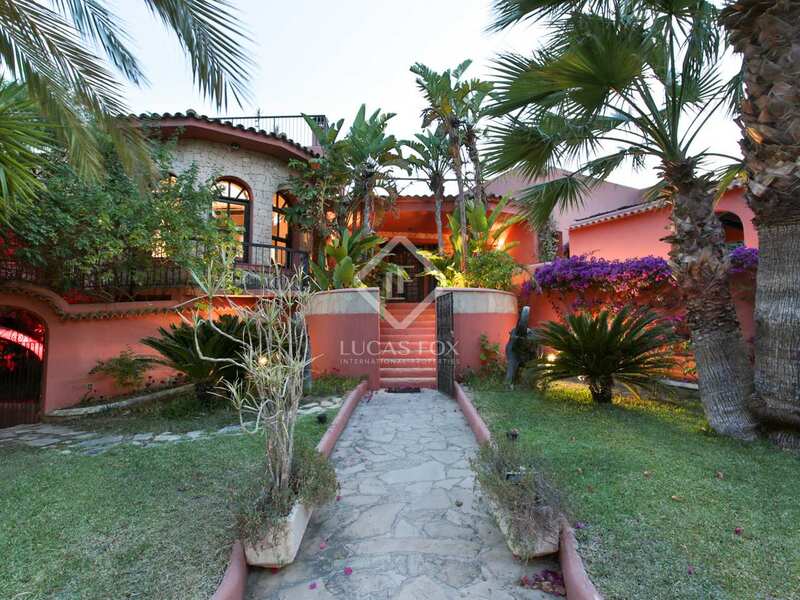 Furthermore there is the option to purchase the seller's company along with the property. 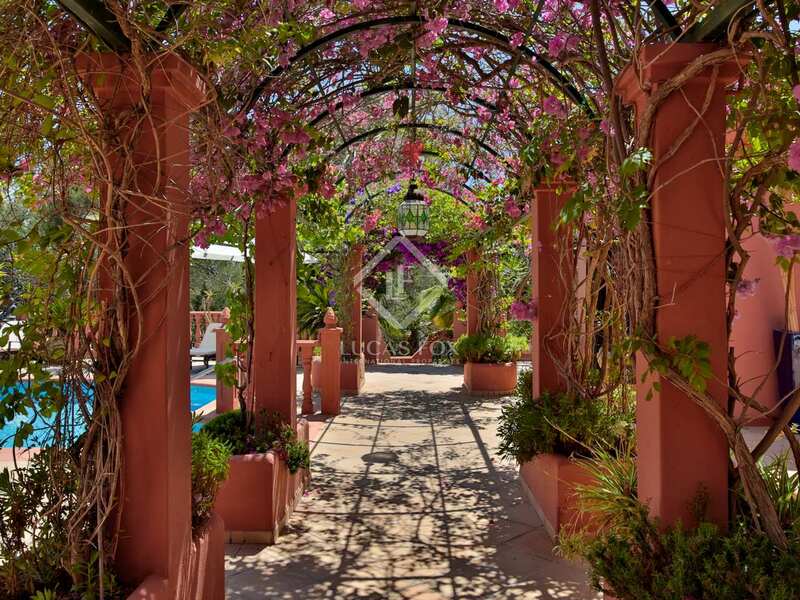 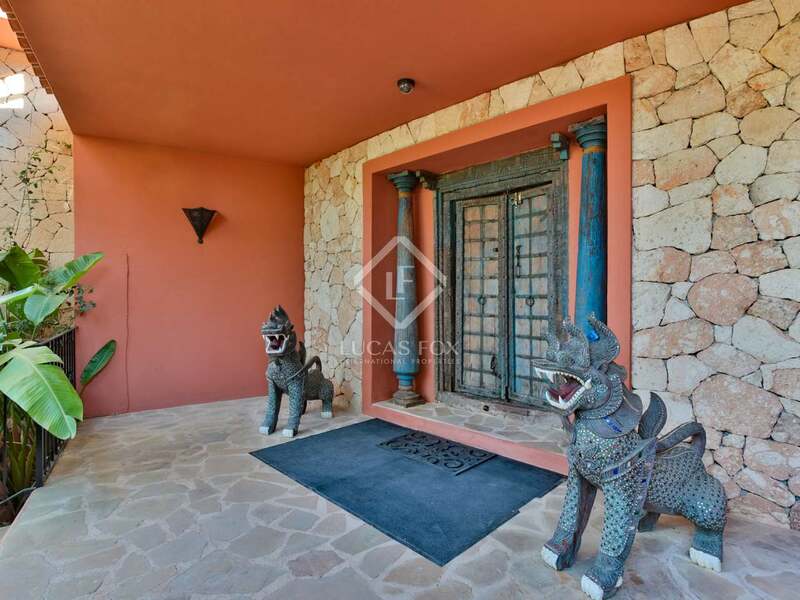 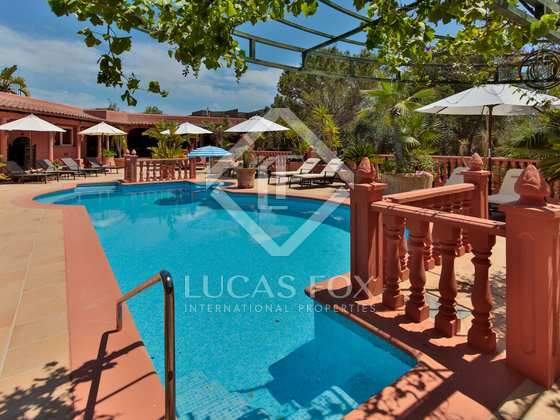 This stunning property is an ideal home in Ibiza, perfectly located to enjoy the island's best beaches and close to the centre of San Antonio whist maintaining complete privacy and tranquillity. 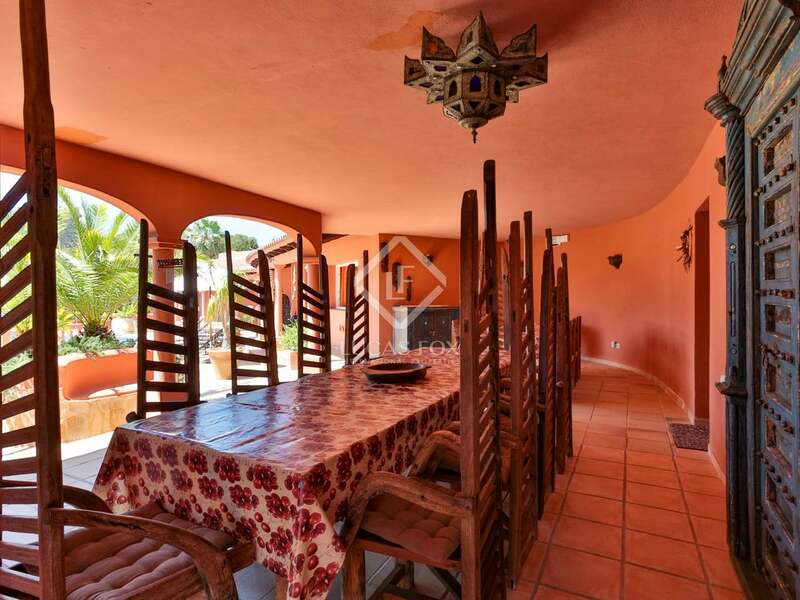 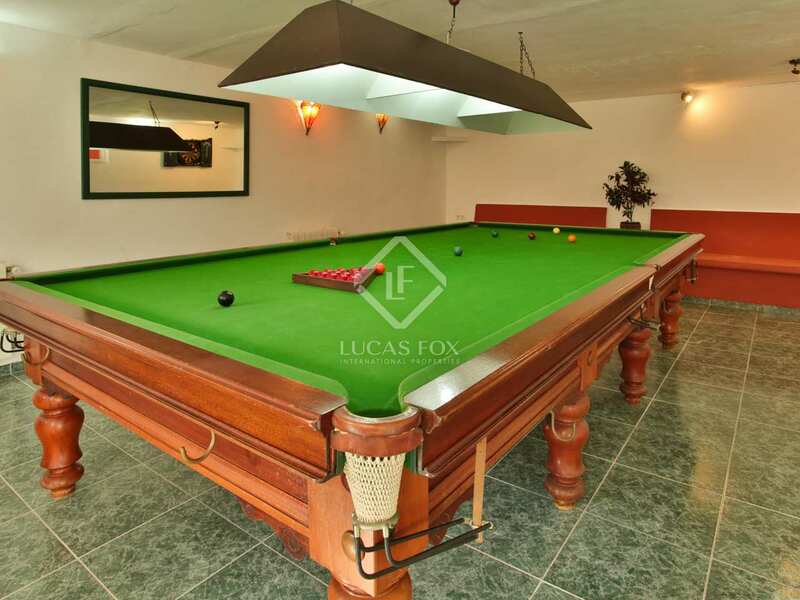 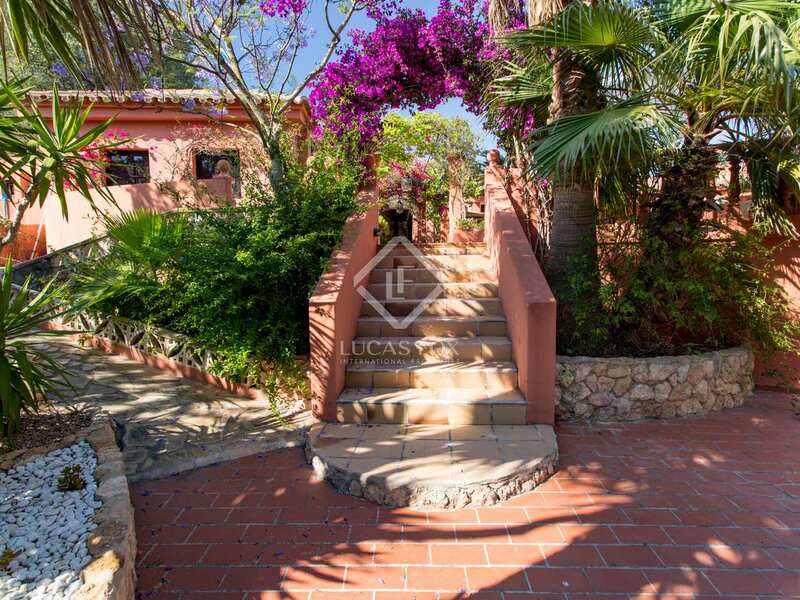 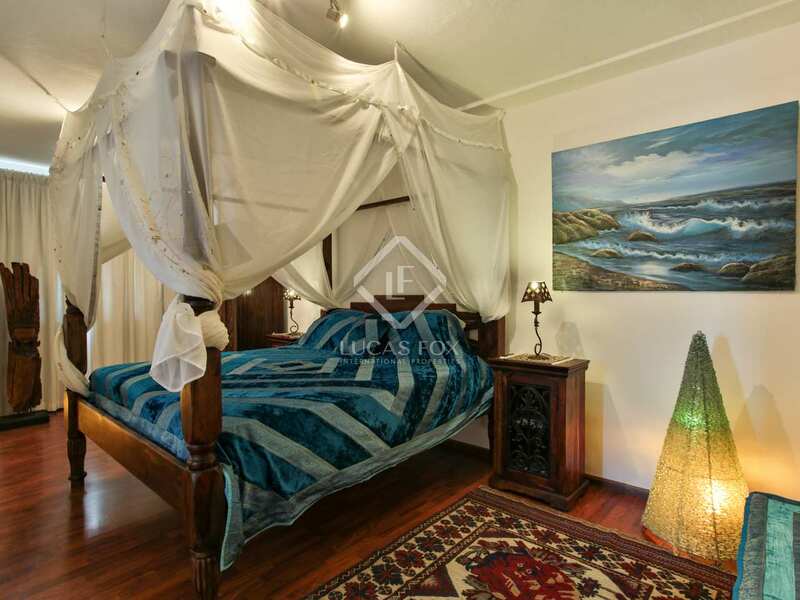 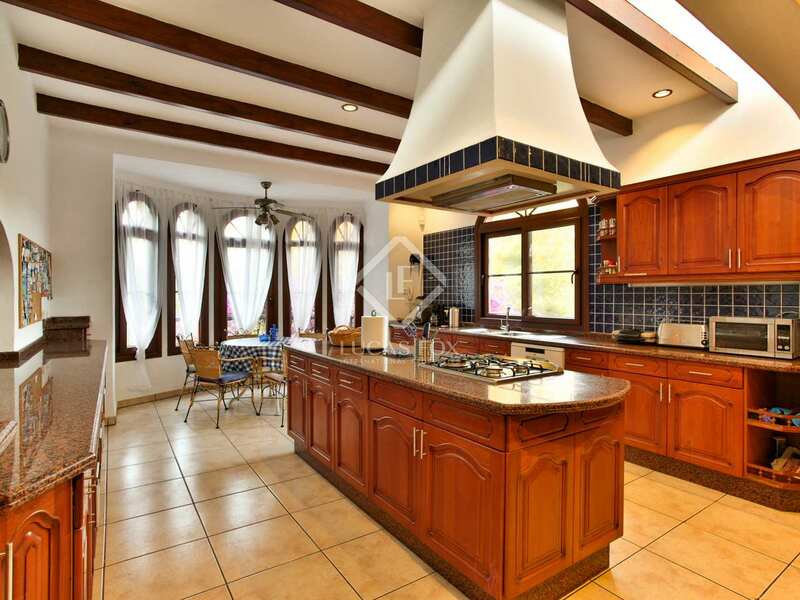 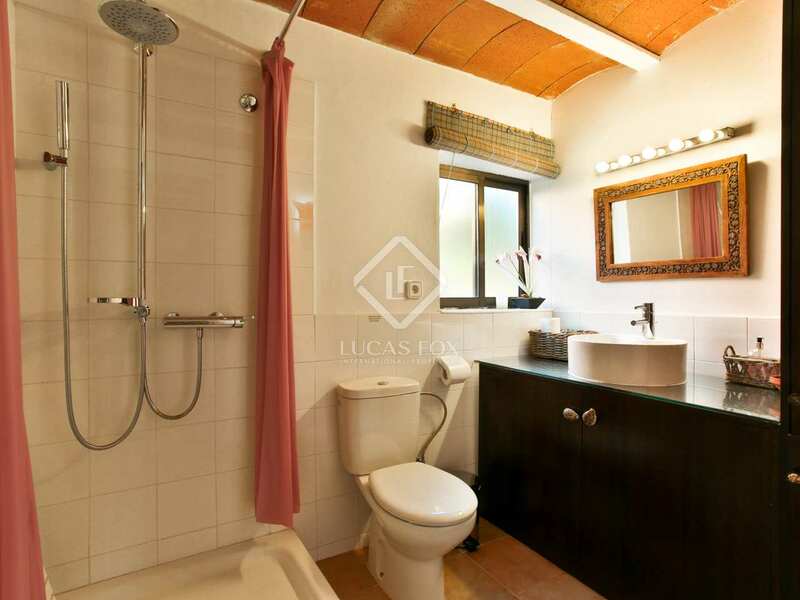 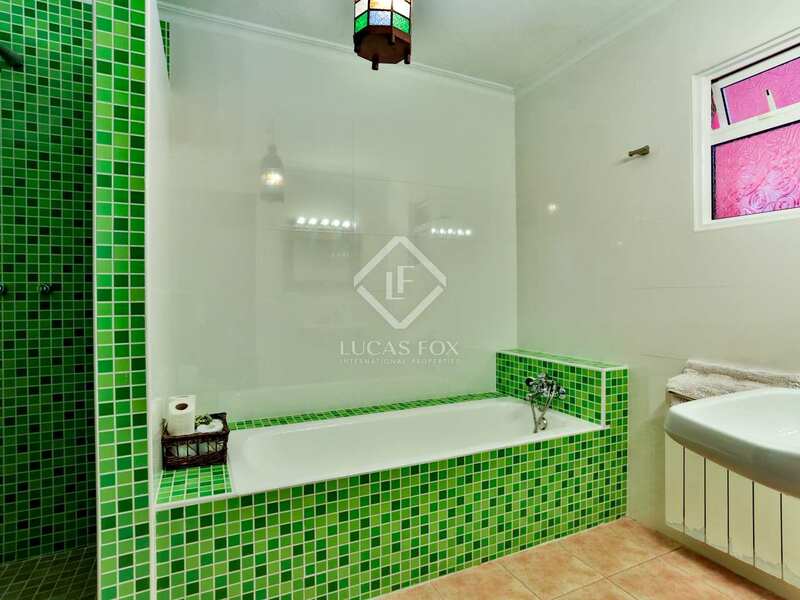 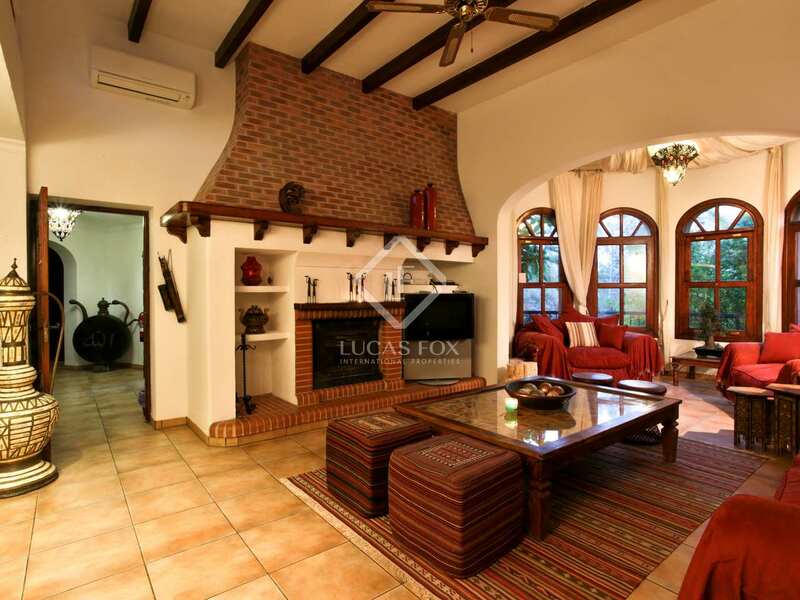 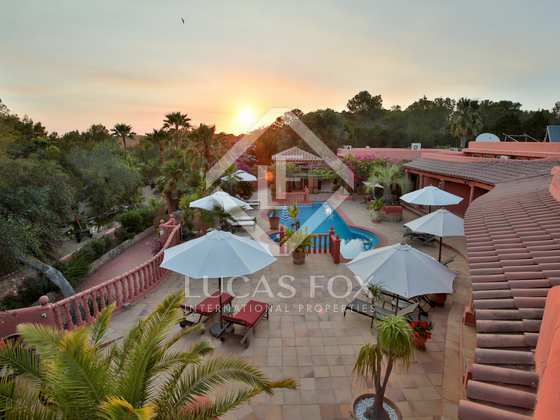 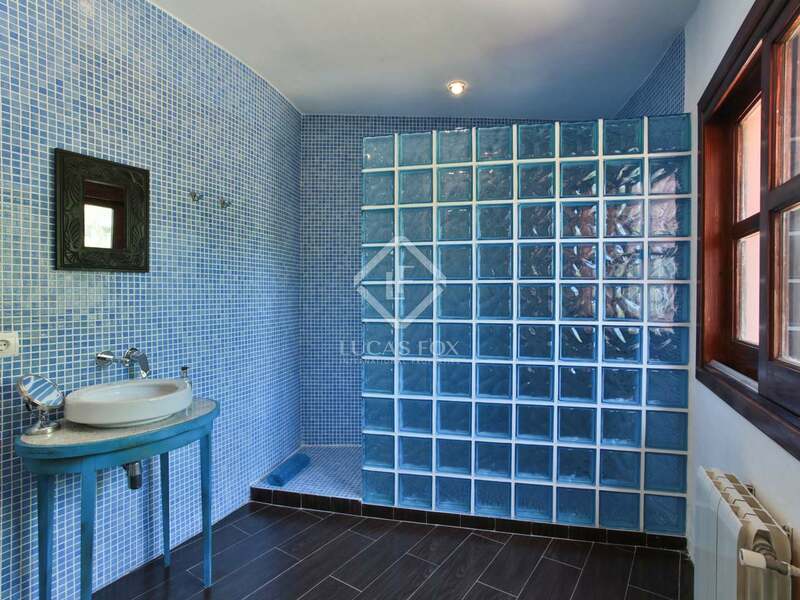 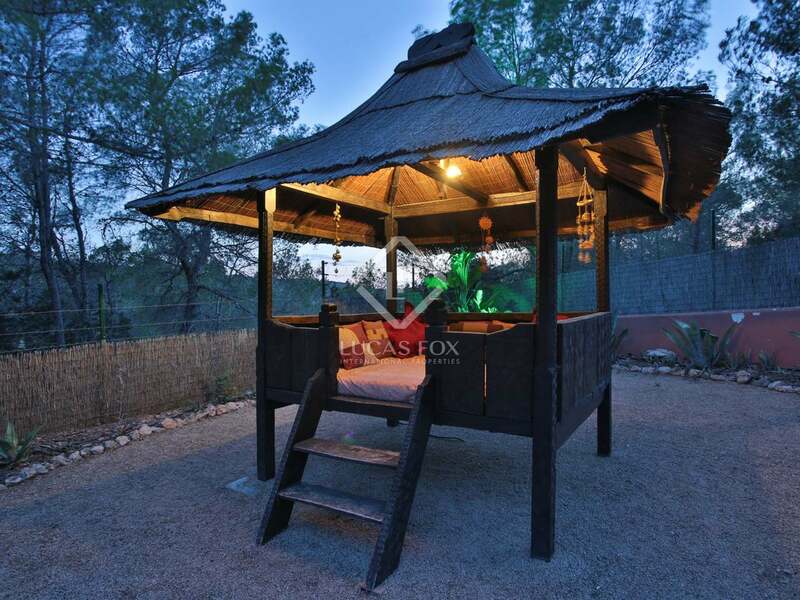 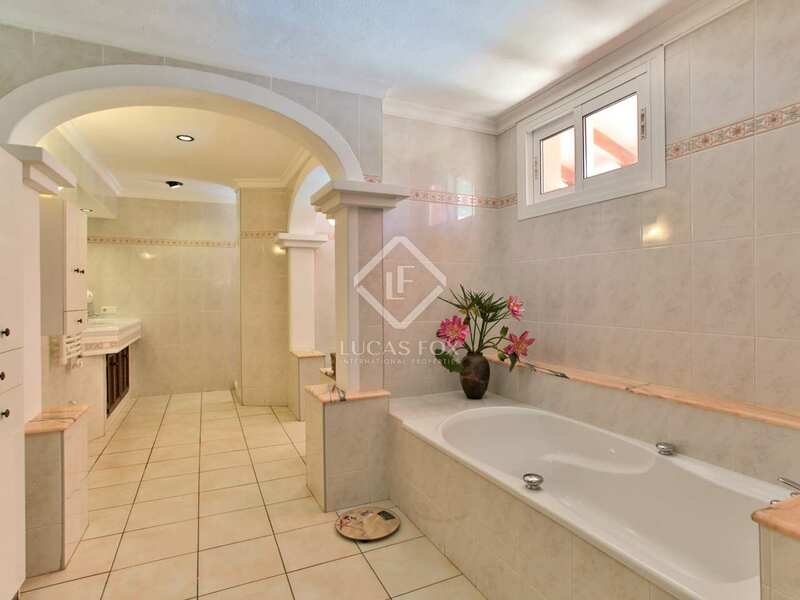 Property located 5 minutes from Cala Bassa and close to the centre of San Antonio. 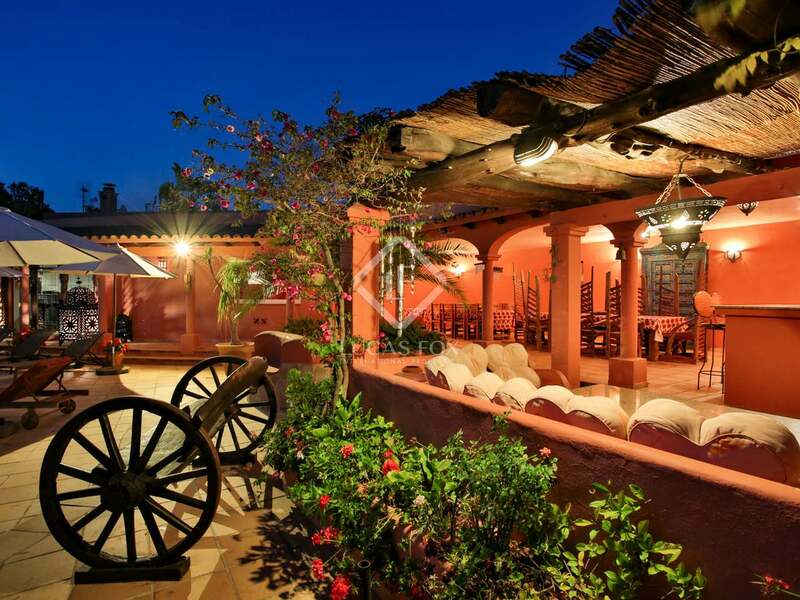 There are restaurants and supermarkets in the surrounding area and some of Ibiza's best beaches are easily accessible.